The topic of better Internet connectivity is a subject of much excitement these days due to both Facebook and Google making efforts to bring the Internet to places which are remote and lack good Internet connectivity. Facebook’s Internet.org initiative and Google’s Project Loon are visible efforts to bring the entire planet online by putting UAVs/baloons in the stratosphere over key areas. These airborne devices will beam Internet down to earth’s surface thus making internet access easy and effortless for those who live below their trajectory. No doubt, this is a fine example of forward thinking and if successful, could get many more people online than ever before. Google announced Project Loon last year and Facebook launched Internet.org around the same time. However, it was only recently that Zuckerberg outlined his plan to use UAVs to beam Internet back to earth’s surface. One rather interesting incident which happened was the Titan Aerospace acquisition by Google. Facebook was in talks with the company but Google offered to top whatever Facebook was offering. With the Titan Aerospace acquisition, Google seems very serious about deploying UAVs in the stratosphere as opposed to their playful yet genius Project Loon strategy. 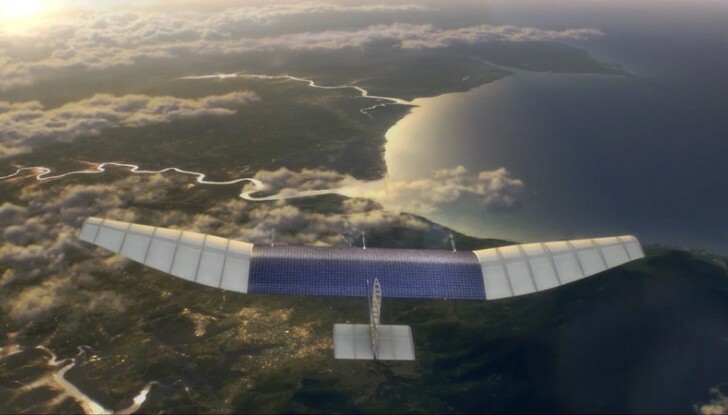 Facebook, not to be outdone, has managed to get some leading talent from NASA on board in addition to acquiring Ascenta, a drone aviation company. These moves show that this race for innovative ways of delivering internet is heating up. Why are these companies already rushing into a rather unproven space in such hurry? For this, we must understand their motivations. Both Facebook and Google are mega corporations with stupendous user base counts. For them to continue to do their magic and stay relevant, they need more users. Their only challenge is that most of these potential users live in places with poor internet connectivity and infrastructure. Emerging economies have an inferior broadband infrastructure and the service providers charge quite a lot for the Internet service compared to established internet markets. This naturally puts a spoke in the wheel of Facebook and Google’s expansion plans. The normal way to solve this situation would be to help the Governments of these countries improve their internet infrastructure but then that will be a rather tedious task for both of them. In order to bypass this, they could just send their drones into the stratosphere and get them to provide Internet to the people below. The heights at which these UAVs operate will be too high for Governments to impose control via airspace regulations. Getting the web to people in emerging and developing markets will ensure that these companies can truly get everyone online and thus expand their user base counts by a couple of billion users. More users and thus more revenue and thus better market performance. Looked at in this way, this is a shrewd business play rather than the feel good factor of connecting more people to the web. Facebook is rather cleverly using its Internet.org initiative to build more inroads into developing markets. One case in point is their recent partnership with Unilever to study the opportunities available to increase internet adoption in rural Indian communities. The results of these studies will provide both companies ways to create solutions addressing the poor Internet penetration in the country. Facebook also has other developmental initiatives running with other partners in India and Rwanda. Even though these activities by both companies can be seen as self-serving, they will indeed have a positive impact on emerging countries. More connectivity means more knowledge, ecommerce and job opportunities. This could impact individual GDP positively and also bring people in these countries to a higher standard of living. In a country like India, where only 13% of the population is connected to the Internet, the opportunities are enormous. We are looking at a whole lot of new ways to provide solutions via the Internet and this will boost the startup movement in the country to a good degree.